Eye clinic staff describe their working conditions as ‘chaotic’ and ‘running from one crisis to another’. Patients are going blind because of capacity problems in eye clinics across England, according to new research by the Royal National Institute of Blind People (RNIB). With many commissioners and hospital managers clearly failing patients, RNIB is calling on the public to know and exercise their legal rights, and is warning that a lack of capacity could lead to hospital trusts facing many more clinical negligence claims. Responding to a survey, staff working in ophthalmology units expressed serious doubts over the ability of clinics to meet demand. Over 80 per cent said their eye department has insufficient capacity to meet current demand, with 94 per cent reporting that future capacity will not meet rising demand. The ageing population and demand for services across a broad range of conditions were flagged as the main reasons for the increase in patient numbers. A worrying 37 per cent of staff said that patients are ‘sometimes’ losing their sight unnecessarily due to delayed treatment and follow up care caused by capacity problems. A further 4 per cent said they believed this loss of sight is happening ‘often’. 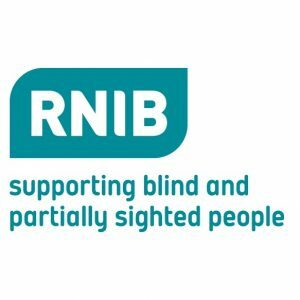 RNIB’s Chief Executive, Lesley-Anne Alexander CBE said: “These statistics are shameful as nobody should lose their sight from a treatable condition simply because their eye clinic is too busy to provide care in a clinically appropriate timescale. “Hospital managers are ignoring the capacity crisis, often to save money, and are putting patients’ sight at risk and their staff on course for burnout. Staff workload is also a real concern; over half said the problems are so significant that they have to undertake extra clinics in the evenings and at weekends to keep up with demand. Responding to the survey, staff described their working conditions as ‘chaotic’ and ‘running from one crisis to another’. RNIB is encouraging patients to know their rights and be armed with the knowledge of their condition and its management. Patients need to understand the timeframes of diagnosis, treatment and follow-up care that expert bodies have set, and to take action when the system fails them. Dianne Woodford, who has diabetic retinopathy, has experienced numerous delays and cancellations. She has suffered from bleeds in her eyes while waiting for her next appointment – bleeds that can result in permanent damage to her sight. Dianne said: “I once had to wait a whole year between appointments despite the doctor saying he should see me in three months. Sight is the sense that people most fear losing*. Without it, people are at risk of losing their employment, their ability to travel independently and having to rely on carers to undertake day to day tasks. They are also at higher risk of experiencing falls and accidents which require further NHS health and social care services. The new report is released as part of RNIB’s Save our Sight (SOS) campaign, aimed at challenging unnecessary sight loss and promoting the importance of timely access to vital treatment. Be the first to comment on "Patients are going blind as overstretched eye clinics reach breaking point"